Twin Cooling with separate cooling systems in the fridge and freezer help maintain the temperature control and minimise the mixing of odours. 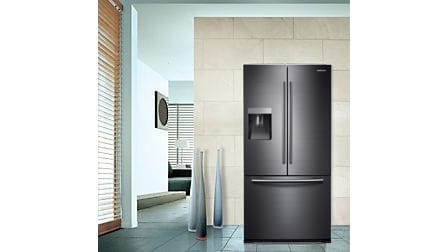 The sleek black layered steel finish with counter-depth design will make your fridge the centerpiece of your kitchen. 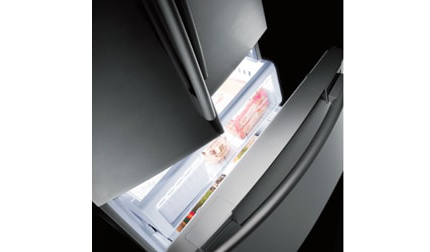 Opening the freezer just got easier with Samsung's new EZ-Open Handle. Simply lift and pull the handle to open.